There are several types of irregular wear. Most typical ones are heel and toe wear, one side wear, center wear, braking flat spots. For all of them, there are different reasons how these kind of wear occurs. What is heel and toe wear? “Saw-tooth” wear is a wear pattern caused under normal usage with normal suspension settings. This is the outwardly visible (and audible) manifestation of various distortional forces at work on the tread. To explain this, it is better to first say something about ”tread design”. Tread grooves and sipes – a source of noise – are absolutely essential in ensuring safety on wet and flooded roads. In the case of low-profile tires in particular, a higher percentage of tread void is necessary to take up the water and to improve the protection against aquaplaning. Cross-grooves for water drainage form “freestanding blocks” in the shoulder area. These shoulder blocks can wear to leave the “sawtooth” pattern as a result of rolling mechanisms under certain operating conditions. These operating conditions include: Long, straight journeys at constant speed Moderate driving style Suspension geometry (alignment/camber). As the tire rolls along the road, the freestanding blocks deform as they near the tire‘s contact patch. They are compressed as they come into contact with the road. As they lose road contact they “rub” the surface while snapping back into their original shape. The result is higher wear on the block run-out edge. This wear pattern is more likely to occur on nondriven wheel positions. A minor amount of “saw-tooth” pattern wear is normal and has no discernible effects on comfort. More conspicuous wear of this kind points to specific operating conditions (improper inflation, excessive toe-in, low-wear applications). Tip: In order to gain even tire wear, the position of the tires on the car should be changed at regular intervals (unless otherwise recommended by the vehicle manufacturer). The position of the tires should be changed in good time, at the latest when changing summer/winter tires. This wear pattern is found on driven wheels of highly motorised vehicles. Even today’s mid-range cars have modern engines generating high levels of torque and capable of producing high degrees of slip. 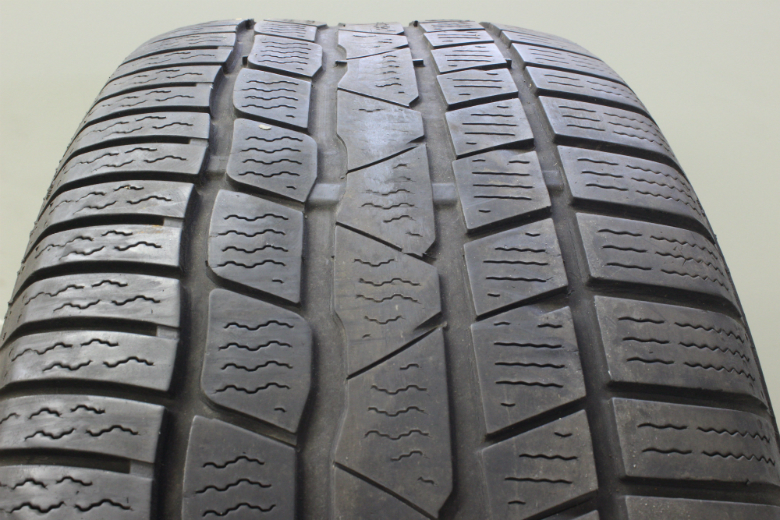 These high torque levels, during strong acceleration or in stop-start urban traffic, or when accelerating away from traffic lights, can quickly increase wear of the tread centre. Tip: By rotating the wheels from the powered to the nonpowered axle before it is too late, it is possible to obtain a largely uniform pattern of wear. Always observe the vehicle manufacturer’s recommendations. The most frequent cause of one-sided wear is an axle geometry out of specification . These deviations develop over time and can be the consequence of , for example, kerb mounting. 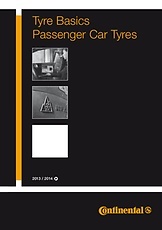 Lowering a vehicle in conjunction with lowprofile tyres can also negatively affect wheel alignment. The modified suspention arms (e.g. less rim offset after retrofitting) encourage a tendency for the alignment of the wheels to deviate during driving from the specified data. This might go unnoticed as all wheel alignment values are still found to be within tolerance limits when measured statically on the axle measurement bench. The result may be an increase in nonuniform wear. 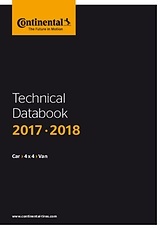 The manufacturer’s alignment data applies to vehicles as delivered and may not necessarily apply to customised vehicles. If a vehicle’s wheels are misaligned, the wheels must be aligned and the deviation corrected.